Every year, the Cambridge MA in Children's Book Illustration has a stand at the Bologna Book Fair, run by the amazing Pam Smy. It's the only art school stand at the fair, and is always fully booked with publishers and agents keen to see the work of latest graduates. Each year the MA staff choose four images to be made into posters that are given to publishers and agents who visit the stand, with contact details for all the stand exhibitors on the back. 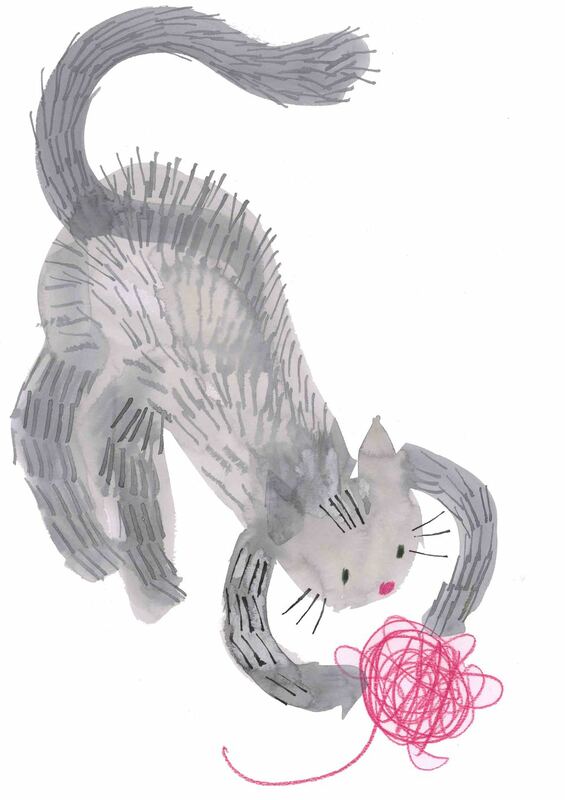 It's a lovely idea and I have a few favourite past posters on my wall, so I was delighted to discover that my cat with wool illustration had been selected to be a poster for the stand at the 2016 Fair. I now have a copy framed in my downstairs loo, because it's such a great souvenir of the very special time I spent doing the Cambridge MA!